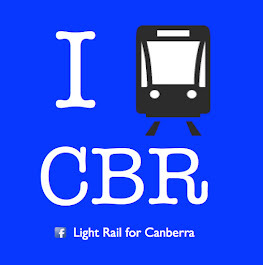 "The ACT government has shortlisted two consortiums to submit detailed bids to build, own and operate Capital Metro. Canberra Metro, is led by Leighton subsidiary Pacific Partnerships, and includes Mitsubishi and John Hollands, and German firm DB International GmbH. Activate, is led by Downer EDI, which would design and build, and includes French train-building company Bombardier and Keolis Downer, which operates the new Gold Coast tram and Melbourne's tram network. The government had "tested their general view and understanding of government's affordability threshold", he said. Consortiums were also asked for a view on the government paying them a lump sum of 50 per cent of debt at the end of construction or at the first refinancing of the project. Mr Corbell did not provide detail of their response on the lump sum, but said consortiums had welcomed that fact that the government had the payment on its radar. The consortiums had also welcomed the government's willingness to consider the Russell extension, he said. The two shortlisted groups would now provide detailed design and a bid price, setting out what the tram would cost the territory. The government will pay the winning bidder an annual fee, but has yet to go public on how much it expects that fee to be. Mr Corbell said "request for proposal" documents would go to the two shortlisted groups in April for the Gungahlin line, and a couple of months later for the Russell extension. Mr Corbell said the two successful consortiums were "well-formed", with mature relationships among the companies making up each consortium, and mature financing arrangements, he said. They both understood that the government had "sent a very strong affordability signal" by releasing the business case, and were highly experienced. "We're dealing with highly experienced, globally experienced companies that have delivered urban rail, including light rail and heavy rail projects in Australia and overseas," he said. Both were developing relationships with local subcontractors and suppliers, which would be critical in the final bids. Mr Corbell said the shortlisting was a very significant milestone. "We have met every milestone so far for this project which I'm very proud of, so we are tracking to make a decision on the successful bidder early in 2016 with works under way later in 2016," he said."